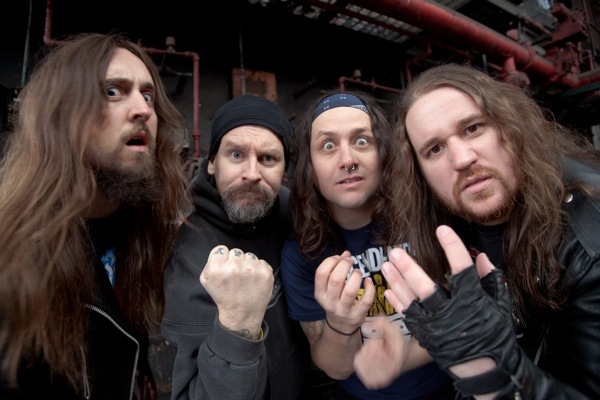 I’m by and large a big fan of Municipal Waste, having been a big part of satiating my wish for thrash to be the in thing in my lifetime – I missed the original wave as I was blissfully unaware, due to young age, of the effect this style of music was to have on my neck one day. I’ve been quick to obtain their albums upon release and have enjoyed them all right up to ‘Massive Aggressive‘, which was still a great album even if not quite on a par with the two albums that preceded it. The ‘Waste are back with ‘The Fatal Feast‘ and the title track is the inspiration for a brilliantly and typically over the top video from the Richmond crew, as they engorge their way through a space vessel’s crew and its rescue team. The track itself surprised me at first with its more melodic vocals – but its no less thrashy and old school and it certainly picks up a gear at the right time. Their bloodlust is seemingly insatiable and hence, its every bit the reason you should probably not let your boss catch you watching this. As comical as it is, there’s always plenty of blood to be spilled in Municipal Waste’s world, and they’re not holding back here. After the jump. Posted in Crossover, Municipal Waste, PC, Thrash, US, Visions. Feist/Mastodon – Black Tongue/A Commotion 7"
I just thought I’d add my two pennies on this given that despite not attending Record Store Day (due to personal responsibilities, not lack of support for the cause), I have managed to listen to this limited release 7″ that caused quite a commotion (pun very much intended) building up to its release, not least because of the unlikely connection between Canadian songstress Feist and Atlanta, Georgia metal titans Mastodon, which developed following their respective appearances at the same recording of the Jools Holland Show last year. 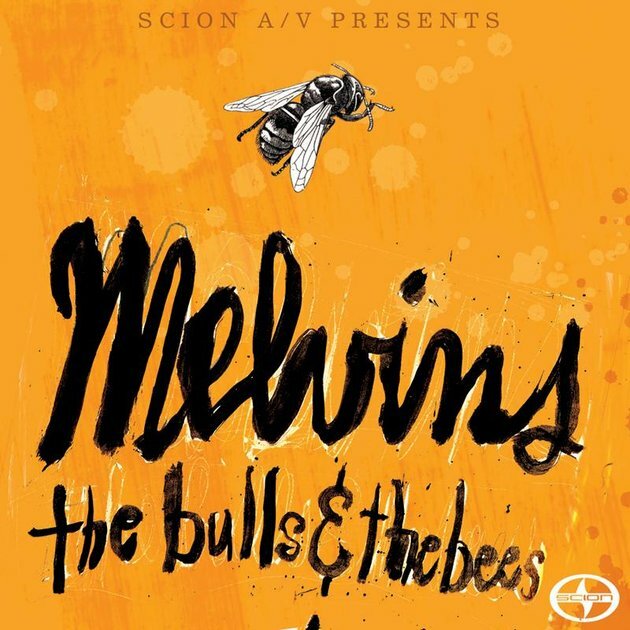 Having pledged to work on a release together, the respective parties managed to squeeze in a split 7″ release into their extremely busy schedules, each artist cover one track from one another’s back catalogue – Feist choosing to cover ‘Black Tongue’ from Mastodon’s ‘The Hunter‘, and Mastodon selecting ‘A Commotion’ from Feist’s ‘Metals‘. 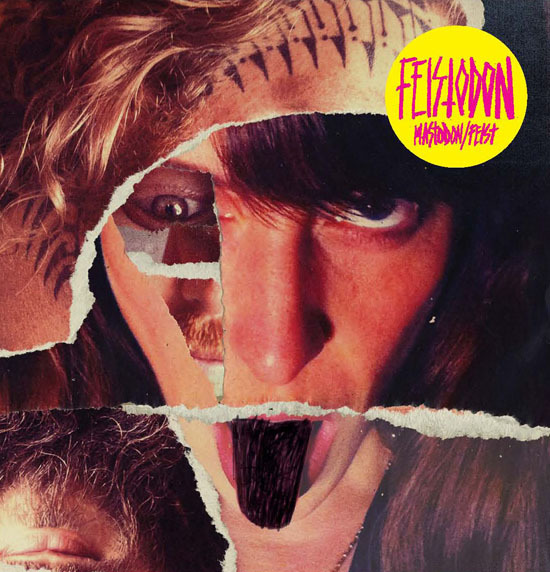 I wasn’t a great fan of Feist before ‘Feistodon’ came along and that won’t change with this release. That ‘1, 2, 3, 4’ song irked the hell out of me, no thanks to Apple, but she is undoubtedly a talented singer/songwriter who is worthy of the acclaim that comes her way. Some positive comments have come her way regarding her cover of ‘Black Tongue’, which I unfortunately must disagree with. Vocally she does a good job, creating something of a dark, haunting effect in the process. I fully expected her version of the song to not come crashing over the hills in the fashion that Mastodon do, but the arrangement of the song in this instance does nothing for me. It seems too disjointed if anything, a valiant attempt to turn the song into an electro-rock lurker, only to judder too much over its course. By contrast, Mastodon, no stranger to covers and indeed to Record Store Day, do an incredible job of making ‘A Commotion’ their own. I can see why they chose it – out of the Feist material I’ve heard to date this one fits them the best – and the result is something that honestly wouldn’t sound amiss on one of their later records. It quietly builds up with just the chug of the guitar and quietly spoken vocals. When Brann Dailor pounds a thunderous roll, it begins to feel like a proper Mastodon song, bearing Mastodon’s signature power chords. The only grumble is that the chorus suddenly concludes the song – that works for Feist’s version but on this particular cover, it feels like there’s something missing, like it ends too soon. Nonetheless, this was an interesting experiment and a welcome one at that from these two unlikely collaborators. My personal take is that it’s not the wholly amazing 7″ I perhaps expected. At the end of the day, it’s not something to judge the artist’s by’ more a show of fan appreciation, support for the record industry, and a display of risk taking. In a day and age where risk is rarely rewarded and uniformity is depressingly the norm, it’s a refreshing signal to see artists from two different walks step a little out of their comfort zone. Posted in Canada, Electronic, Feist, Feistodon, Indie, Mastodon, Metal, PC, Pop, Record Store Day, Rock, Single Reviews, US, Warner Bros.. 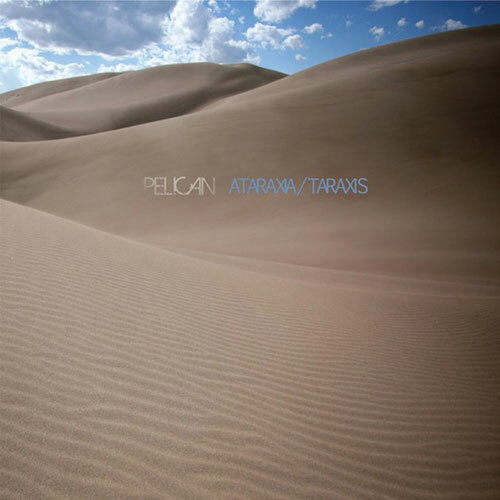 Returning with their first new material since 2009, Chicago’s Pelican deliver unto us yet another EP – they do love ’em – with ‘Ataraxia/Taraxis‘, their third release for Southern Lord. It’s free of the distractions that were brought with ‘What We All Come to Need’, namely the numerous guest appearances and the presence of a vocalist (The Life and Times/Shiner’s Allen Epley) on ‘Final Breath’ that became such a talking point for a band which, musically, has become more introspective of late. The new EP is a return to basics for the band, focusing squarely on the efforts of its four members, although there’s absolutely no surprises from Pelican on this release, and truth be told, there rarely is, although their influences have seemingly shifted over the years. That the band’s opening track ‘Ataraxia’ serves as a dark entrée to the EP could also perhaps be put down to the respective members’ decision to move to different parts of the United States. Whatever, already it appears to be paying dividends, as it is a pulsating opening, although one that might have been suited to a full-length. Pelican soon put their rocking boots back on and the next couple of tracks are a mix of Pelican modern and old – ‘Lathe Biosas’ a groovier number that serves to provide one of Pelican’s best riffs yet, and ‘Parasite Colony’, which progresses into something that wouldn’t have sounded amiss on ‘Australasia‘. The other title track, ‘Taraxis’, close proceedings in slightly progressive fashion, acoustically building up with minimal percussion to gently guide the song along its course. As it draws to a close, the distortion kicks in and the initial sense of melody and calm morphs back into traditional territory. No doubt Pelican are in slightly experimental mood here, and while there’s definitely nods to their past, their compass is pointing towards where perhaps their future direction lies. ‘Ataraxia/Taraxis‘ certainly has its high points, no less ‘Parasite Colony’s sludge boom. However, the tracks feel largely too short for them to spread into anything to make this truly worth shouting about. And for an ‘experiemental’ release, as I describe it, its not truly forward thinking. That said, there’s plenty encouragement for the next album, though I personally hope they spread their wings a little more. Posted in Album Reviews, Instrumental, PC, Pelican, Post-Metal, Southern Lord, US. Despite seemingly continuous revelry, it feels as though in some quarters, High on Fire have yet to please all the purists, despite increasing acclaim for their work. Some would argue ‘Snakes for the Divine‘ was lacking High on Fire’s true raw power, beckoning for another ‘Blessed Black Wings‘. Others, myself included, would argue High on Fire don’t need another one of those albums, or indeed another ‘Surrounded by Thieves‘. They seem to gamely go about their task with the requisite menace and intensity without any need to shift their approach for an audience which widens a little more with each release. Nevertheless, there will always be a few who can never be fully satisfied. Moving swiftly onward, the sixth High on Fire album, ‘De Vermis Mysteriis‘ will likely possess a minority splinter cell of people who will stroke their (bearded) chins with a slight collective shrug, just as before. It doesn’t matter that it still sounds like an army of hellish demoniacs riding forth on horseback, hooves pounding the earth, slaying and pillaging for all its worth, or that its the most varied and arguably most complete High on Fire record yet. Taking its name from Robert Bloch’s fictional grimoire of the same name and mixing Lovecraftian themes, time travel, Jesus Christ and the Immaculate Conception – and heck knows what else – ‘De Vermis Mysteriis‘ begins in atypical fashion for the band, reeling off three tracks at the beginning that wouldn’t sound out of place on any High on Fire record. The track ‘Bloody Knuckles’ is entirely apt, as it is a particularly bruising encounter. And later in the album, ‘Spiritual Rites’ picks up the whip and cracks it with fury, driven by a cracking double bass-driven beat from Des Kensel. The clearest sign of Pike’s recent role in the Sleep reunion holding sway over High on Fire’s matters is evident in ‘Madness of the Architect’, a perfect marriage between Sleep’s groove and High on Fire’s metallic intensity, a relatively slow lurker compared to the pace of the initial onslaught. As if that wasn’t enough, ‘Samsara’, track five, is a solid stoner jam, complete free of vocals, and, thanks to the skills of bassist Jeff Matz, just a hint of the spirit of Cliff Burton being alive and well here. Though the remainder of the record bears the band’s individuality, the slower jams keep coming, punctuated by the incredible ‘King of Days’, surely one of Pike’s most accomplished vocal performances and a truly monumental song in all respects. The decision by High on Fire to not necessarily drop the pace, but certainly to diversify, pays huge dividends and the album has a whole roars quality in its entirety. 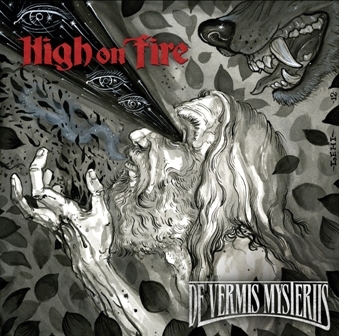 ‘De Vermis Mysteriis‘ will stand out as one of High on Fire’s finest works for its diversity, but the interplay between Kensel, Pike and Matz should not be overlooked’. If any three men should come to define ‘power trio’ in 2012 its these, though it is power blended with precision and a touch of finesse. For me, High on Fire have never lost their edge, but this is as accomplished a record as ‘Blessed Black Wings‘ or ‘Surrounded by Thieves‘, and one that should be only be sneered upon at your own peril. Posted in Album Reviews, Heavy Metal, High on Fire, PC, Stoner Metal, US. Within many walks of life, age is seen as a potential barrier to any further progress or indeed success. Within music and indeed heavy metal, it couldn’t be any more the opposite. 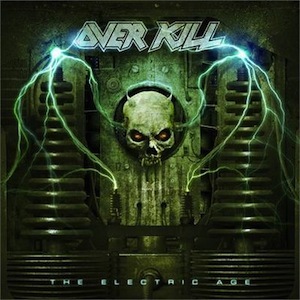 Showing absolutely no signs of letting up even as they get well into their fifties, New Jersey thrashers Overkill have unleashed sixteenth album ‘The Electric Age‘ to the masses, off the back of the incredibly well-received and thoroughly awesome ‘Ironbound‘, which no question was a huge shot in the arm for the band which arrived just as the thrash revival began to run out of steam. ‘The Electric Age‘ continues off the excellent work on ‘Ironbound‘, with opening pair ‘Come and Get It’ and ‘Electric Rattlesnake’ full of sneering attitude, trademark Overkill shred and cracking vocals, led respectively by bassist D.D. Verni and vocalist Bobby ‘Blitz’ Ellsworth. The latter of those songs is one I’m still listening to over and over again for weeks; it’s so infectious as it bounds into the chorus, Blitz singing: ‘More, than you can take/make no mistake/I’m an electric rattlesnake‘. Elsewhere, the New Jersey guys demonstrate impressive variation to straight ahead thrashing, with the blues-thrash of ‘Black Daze’ and the melodicism of ‘Drop the Hammer Down’, a thrash/heavy metal anthem like the days of old, yet at no point does the proverbial electricity in their sound let up. ‘The Electric Age‘ is certainly a must-have album for any thrash fan and any self-respecting metal fan in particular, although I’m personally of the disposition that this doesn’t quite match the lofty standard set by ‘Ironbound‘, which was arguably up there with the glories of ‘Feel the Fire‘ and ‘Horrorscope‘. Where its predecessor was lifted by the energisation of the recent thrash metal revival, ‘The Electric Age’ is more a continuation of their recent fine fettle, with one or two tracks that don’t quite do it for me in quite the same way. 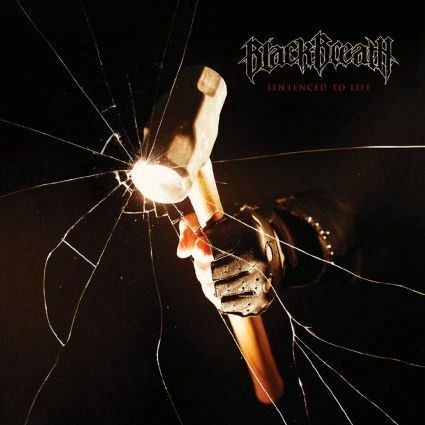 Posted in Album Reviews, Metal, Nuclear Blast, Overkill, PC, Thrash, US.